Hey Sylvie -- I have not been here for a while so I thought I would pop in and say hello!! Your card is so very sweet. This should make anyone smile which is good medicine! Awh, Sylvie! This is like a hug on paper! What a wonderful get well card! Really sweet and lovely looking card. Love it! Thanks for playing with us over at PTW this week. I bet it isn't as chilly where you are as it is here!! We are in big frost mode at the moment. Gorgeous card! Love the ribbon work very much. Super cute image Sylvie - I'm sure it will make your friend smile and cheer her day. So very cute, a beautiful card as always Sylvie. Great card,will certainly cheer your friend up. A super card for cheering up your friend, lovely image and beautifully coloured too. Such an adorable image! I love the ribbon, it looks fab. 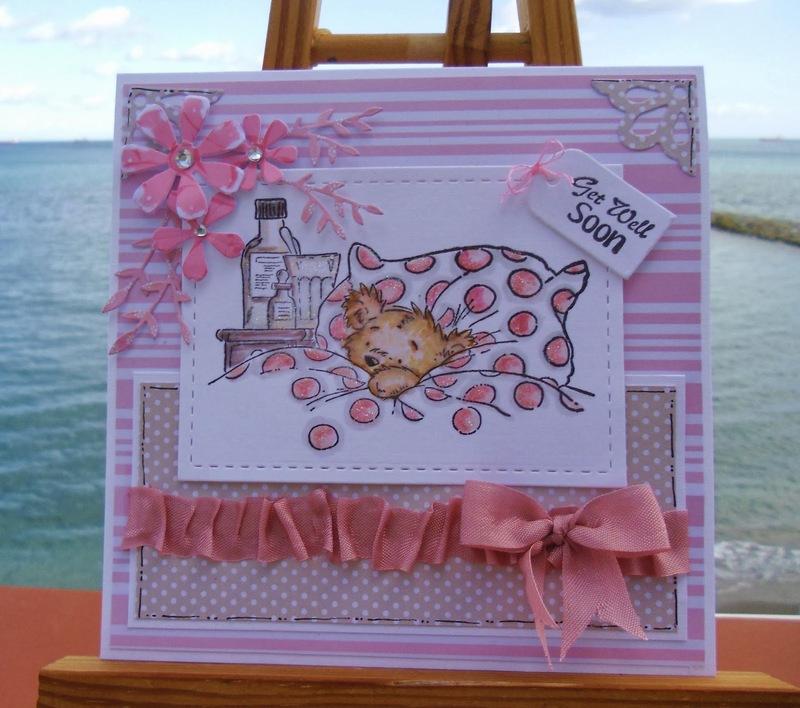 Gorgeous card Sylvie, I love the cute image and pretty detailing.